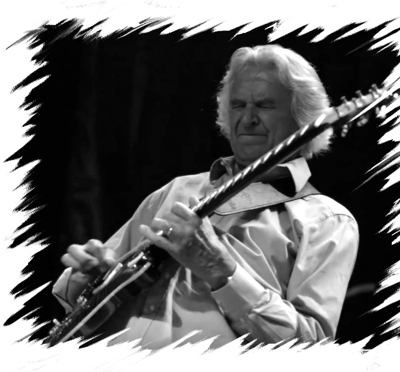 With a musical career that spans five decades and as many continents, John McLaughlin has established himself as one of the premier guitarists on the world stage. At the age of 73 his youthful vigor is nothing short of astounding. If he’s not touring with one of his two working bands, chances are he’s either preparing for his next tour, or he’s in the recording studio, or he’s embarking on a new project that has captured his imagination. He continues to thrill audiences with his virtuosity, intensity, and high energy style; all of which are on full display on his soon to be released album Black Light – already the top selling album in the category jazz fusion on Amazon. Listening to it you can understand why he calls the 4th Dimension the best band he’s ever had. When we spoke he was at home doing some press work and getting a little R&R before embarking on a tour of Asia. When he answered the telephone he said he had just finished an in depth interview dealing with his musical history, but fortunately I had already decided to use this opportunity to explore the magic of music and creativity and ask about some of the insights he has gleaned during his long and rich musical journey. It turned out to be a serendipitous decision that pushed the right buttons. Unbeknownst to me, the title of his album essentially came about as he pondered such questions, and as a result he was energized and highly engaged throughout our conversation. Click play to listen, or download the mp3. Recently Shrinivas, Barot, and Mbappe had formed a trio which explored a fusion of African and Indian music. 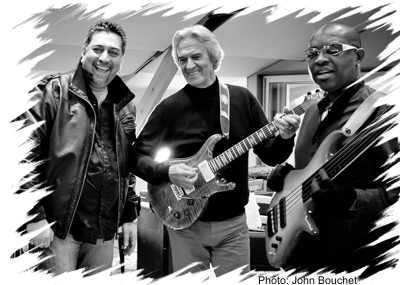 In this interview John McLaughlin shares his memories of Shrinivas, and Ranjit Barot and Etienne Mbappe talk about their work on the album Bombay Makossa that they recorded with Shrinivas, and we preview several tracks from the new album. When we spoke he was at home doing some press work and getting a little R&R before embarking on a tour of Asia. When he answered the telephone he said he had just finished an in depth interview dealing with his musical history, but fortunately I had already decided to use this opportunity to explore the magic of music and creativity and ask about some of the insights he has gleaned during his long and rich musical journey. It turned out to be a serendipitous decision that pushed the right buttons. Unbeknownst to me, the title of his album essentially came about as he pondered such questions, and as a result he was energized and highly engaged throughout our conversation.